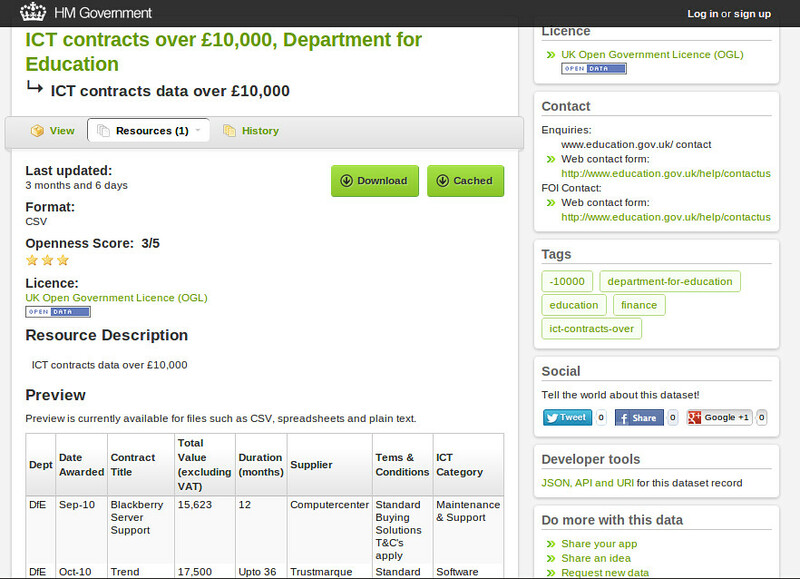 data.gov.uk is the official open data portal of the UK Government. The website provides a central way into the wealth of government data, and aims to make that data ‘easy to find, easy to license, and easy to re-use.’ A beta version went live in October 2009, and the website was publicly launched by Sir Tim Berners-Lee, the inventor of the World Wide Web, in January 2010.
data.gov.uk is built using CKAN to catalogue, search and display data. Other aspects of the website, such as blog posts, forums, comments, etc, are handled by Drupal, an open source content management system. The Open Knowledge Foundation’s CKAN team was involved in the portal from its inception, and helped develop and maintain it for the first two years. In early 2012 the UK government took its CKAN work in-house, but it continues to work closely with the CKAN team and makes regular code contributions back to CKAN - a striking example of the advantages of open source projects. The website was originally designed with Drupal handling all page requests. CKAN, with its rich metadata and search API, was used as a back-end catalogue service. However, by the time data.gov.uk relaunched in June 2012, it was clear that CKAN’s excellent web interface provided a better search experience, while maintaining a Drupal module to handle these API calls was an unnecessary duplication of effort. Instead, all requests for data (the ‘Data’ tab at data.gov.uk) are now sent by the web server straight to CKAN, while other tabs are handled by Drupal. This side-by-side CKAN / Drupal integration is described by David Read on the data.gov.uk blog here. The data.gov.uk website, including its CKAN component, has also undergone penetration testing by UK government security testing consultants. 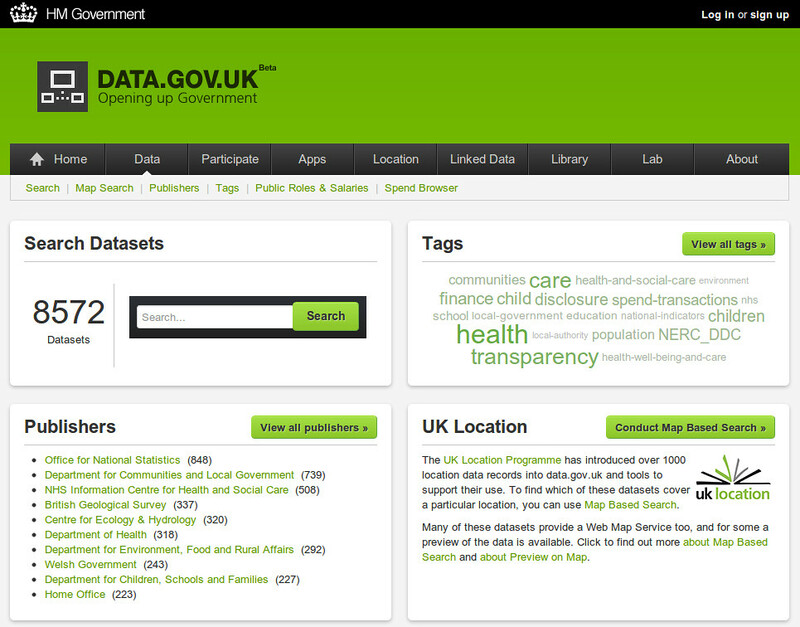 The UK government continues to use and develop data.gov.uk, and the website has a global reputation as a leading exemplar of a government data portal. The system has successfully handled growth from a few dozen to many thousands of data sets, and a concomitant growth in website traffic. It has played a significant enabling role in the development of the UK government’s transparency and open data agenda.